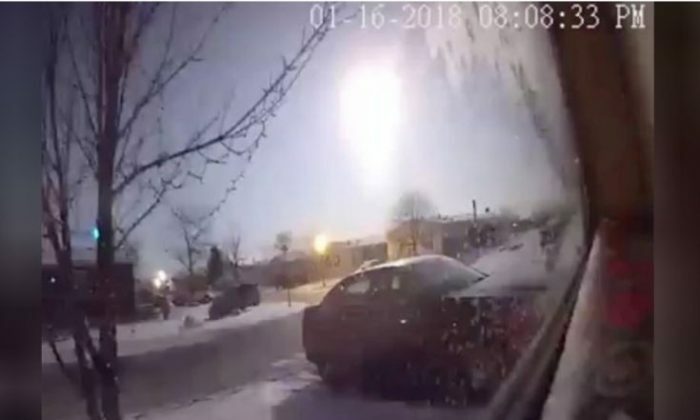 A bright meteor briefly swept across the sky over parts of the U.S. Midwest and Canada on Tuesday, weather and geology agencies said, and then caused a powerful explosion that rattled homes and onlookers. “The NWS can confirm the flash and boom was NOT thunder or lightning, but instead a likely meteor,” the NWS in Detroit said on Twitter. The meteor sighting lit up social media with people posting videos and reaction. “I can’t believe there was a Meteor! It shook our house and made a large bang! We thought someone hit our house,” Twitter user Jennifer Wilson said in a post. Others had more ominous thoughts. “I thought for sure I was either seeing the alien invasion or the apocalypse. It’s awesome in retrospect, freaky … in real time,” said a Twitter user who goes by the name Crash.